Gaining an email list from your consumers may be a lot harder than it seemed when you first began. Perhaps you thought posting a little sign asking for email would work. Maybe you ask for an email whenever someone comes to your store. You might work solely online and you find no one is willing to register on their own. There are ways to request email without being annoying. Here are some tips on how services you are already using might get you those emails you desire for your marketing campaign. Facebook is a gold mine for consumers who are going to want your products. Granted you need to find them. This will take time. You have to make certain someone knows you are there, plus you need to go mining on your own outside of your family and friends. Find business pairings that want the visibility and will also allow you to post on their site about you. Check out my website now and get instant access to such and such promotion. When they go to your site for this promotion, which is something you know they want then you get their email. You need to make the email the thing you want while offering what they want through the email. Set up a type of ad like Google Adwords or Trueview with a video advertisement. Next get it visible on relevant pages. It is a pay per click ad, so you will need a little budget money for this option. Next, make the ad go to a specific landing page where you have a download eBook, tutorial, or other PDF file. This file will need to be sent via email to the consumer. You have just captured the email using a totally different service and one that has paid off. Ads are not to sell items, but to secure communication portals like email. Website registration is another option that you may want to use. Services like registration will block the bots indexing your pages; however, be aware that you can set up a specific area of your site for the registration. You can have landing pages, home page, contact us, and all other important pages available. The registration section should be to something important and useful. For example if you have a website offering information, you might have a forum page they can sign up for. You may have a newsletter, blog, or you may have registration to access all your eBooks and tutorials. 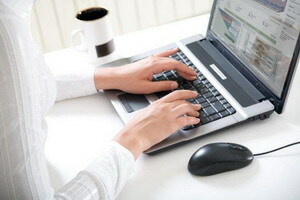 This will capture an email making it possible to keep the consumer updated with your information. When looking for services that will help your email subscription list, it is important that you choose one you know will work for your demographic and target audience. There are only three services mentioned here. There are many others out there you can use in conjunction with email to get the attention and subscription list you want. It might take a little time to figure out which option will work best for you. This is okay. Even the best email senders had a learning curve. They still see the occasional flop in their readership. The key is to keep getting new subscribers even when you have others that unsubscribe. With plenty of services available to you there is no reason why you cannot start to make money for your company or share information through email as part of your business. Other options include LinkedIn, Skype, Twitter, forums, and similar online media that help you reach potential consumers.